The Railway Children charity is holding a fundraising book launch event at the iconic House of Vans venue in London’s Waterloo on Monday 27th November. 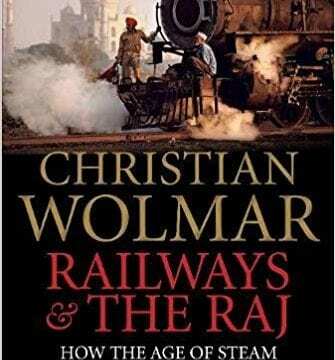 Writer and author Christian Woolmar will be promoting his new book, Railways and the Raj, and proceeds from the evening will be donated to the Railway Children for which Mr Woolmar is a past trustee of the charity. The 384-page book looks at how steam transformed India through the construction of railways by the British. Doors open at 19:00 and the talk will start at 19:30, and at around 20.30 there will be an informal 30-minute Q&A session with Christian Woolmar. Signed books will be available to purchase.